Irish or not, everyone could use a splash of green, especially on St. Patrick’s Day. 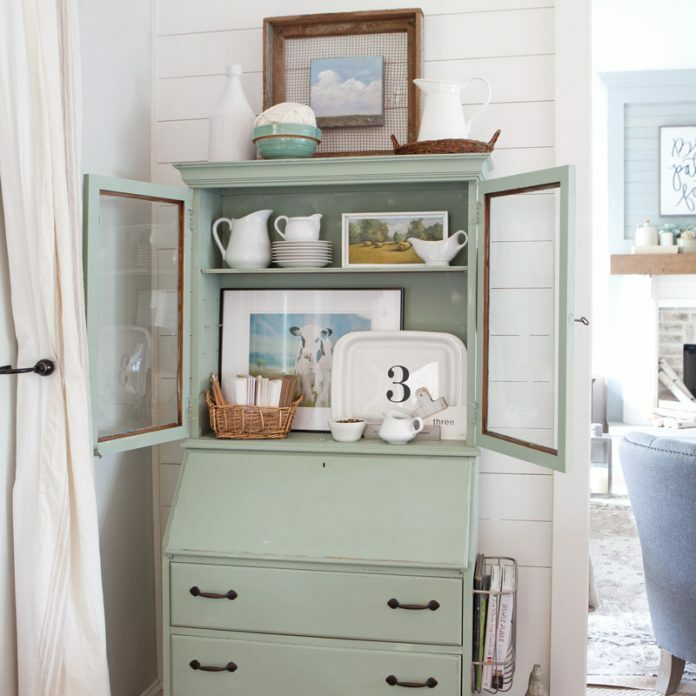 Be it a simple touch of fresh greenery or a floor-to-ceiling green space, it’s never been easier to add a little color to your cozy cottage since just like our favorite neutrals, green blends seamlessly with nearly every style. If you prefer relaxed farmhouse-style décor, a simple vintage wine jug or fiddle-leaf fig adds the perfect pop of color to an all-white space. If you’re a color fiend, use green as a neutral, and let it balance out brighter hues. For a more contemporary-styled home, we love the look of hunter green cabinetry in the kitchen—talk about a stunner. We’ve rounded up our favorite green spaces below, and no matter your style, you’re sure to find one that fits perfectly in your space this season! 1. Now that’s what we call a warm welcome! 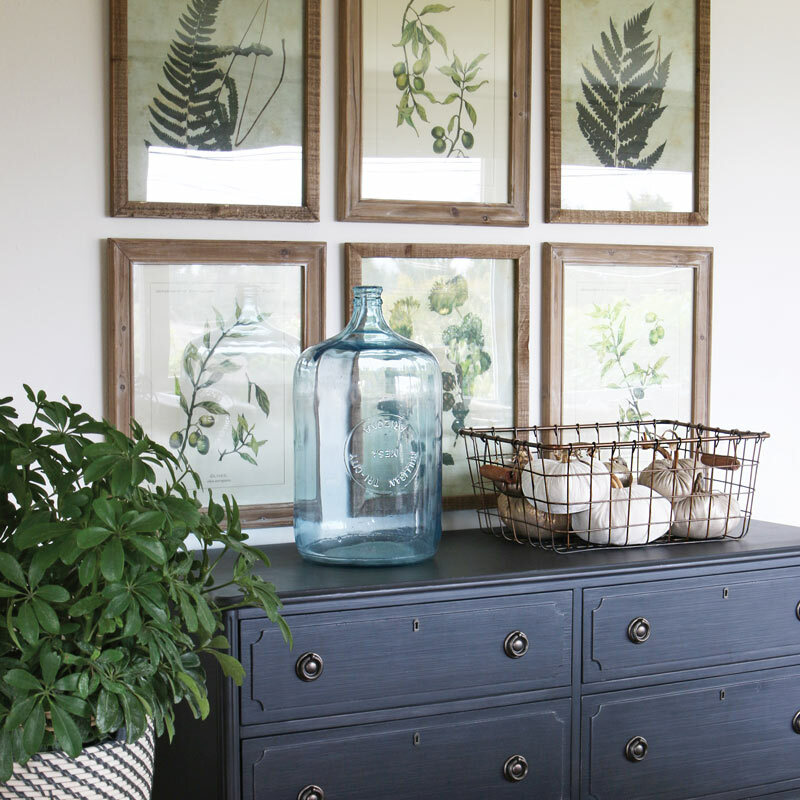 This green door adds a bold touch to a charming and neutral entryway. 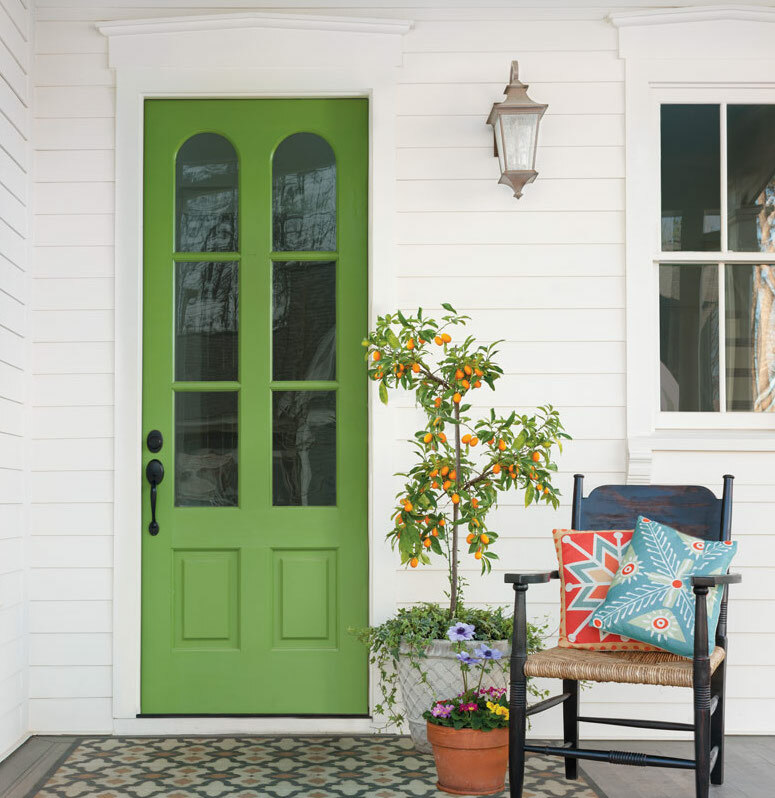 A kumquat tree potted in a ceramic planter complements the colorful doorway by bringing green to the neutral siding and flooring. 2. This transitional dining room features a mix of contemporary and farmhouse rustic furnishings with splashes of green throughout. When mixing styles like in this space, keep different colors to a minimum, picking one or two bold hues to weave through the space in minimalist ways. This homeowner anchored the room by using a rug with touches of green, and then continued the theme upward by adding a green table runner and fresh green hydrangeas in a neutral vase. 3. 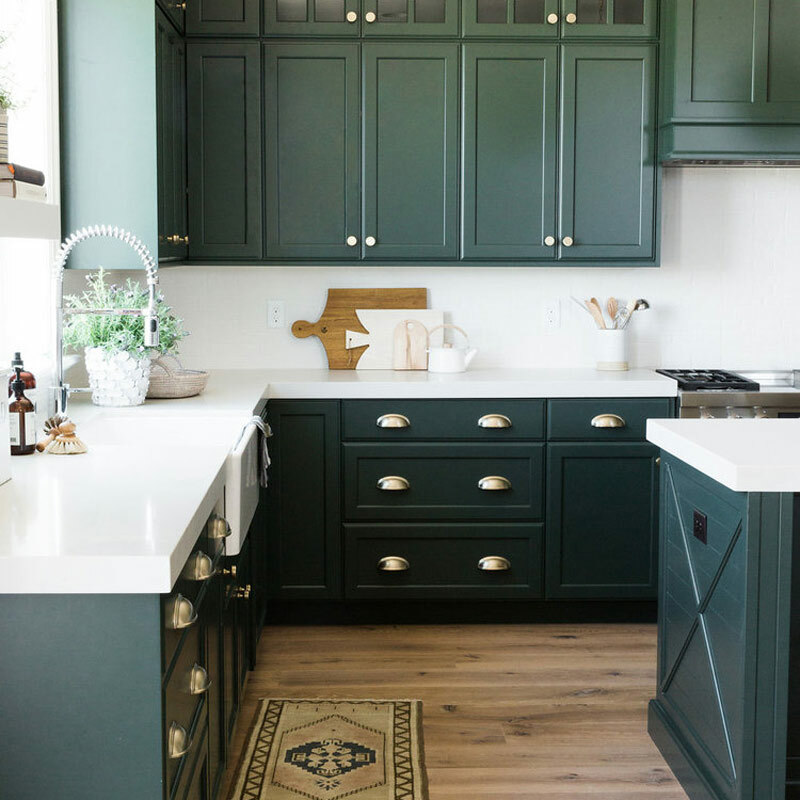 Rich dark green cabinets contrast beautifully with light wood floors and white countertops in this kitchen designed by Studio McGee. The floor-to-ceiling cabinetry gives the room a luxurious feel without overwhelming the space. 4. Blogger Melissa Michaels of The Inspired Room adds subtle color to her living room by using deep, rich shades of green and navy. Botanical prints blend seamlessly with her décor, while a potted plant adds a pop of lively color. To see more of her beautiful home, order our Spring 2018 Issue!